Phoenix, AZ – January 14, 2016 – AFS Technologies, a leading global provider of software solutions purpose-built for consumer goods companies, today announced Traditional Medicinals, a pioneer in the wellness tea category, has successfully implemented AFS Trade Promotion Management Retail (TPM Retail) to gain unprecedented insight into trade spend activities. Championed by Donna Nilsen, Controller, and based on an existing, successful partnership with AFS Technologies, the fully integrated solution delivers critical trade spend insights to key stakeholders to improve budgeting, trade promotion activities, account planning, and post promotion analysis. 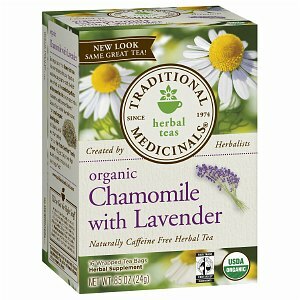 Traditional Medicinals has been providing high quality herbal teas for over 41 years and today sells more than 50 teas at 70,000 retailers around North America. For 10 years, the company relied on a disparate TPM solution with limited visibility into spending and forecasting. Over time, key executives knew that in order to capture true spend activity and improve efficiencies, the TPM solution had to be integrated with the rest of the organization. In addition, given the company’s growing direct and indirect relationships with retailers and distributors, the herbal tea leader needed to gain more accurate insight into trade spend activities across the value chain to improve the efficiency and effectiveness of trade promotions. AFS was uniquely suited to help Traditional Medicinals manage direct and indirect trade promotions and consumer-focused promotions. Unlike anything else in the industry, AFS TPM Retail manages internal shipments to direct accounts; maps warehouse withdrawal data to indirects, along with syndicated AC Nielsen or IRI data, to provide complete, accurate and up-to-date visibility into volume and spending vs. the budget. In addition, the company can now ensure tighter collaboration among marketing and sales because consumer-focused promotions are aligned with trade tactics in a consolidated view, to confirm the various programs support each other in driving growth and profitability. A comprehensive, web-based solution, AFS TPM Retail seamlessly integrates with Traditional Medicinals existing infrastructure to support the entire organization from executive leaders to finance and production. With built-in analytical capabilities, including ad hoc reporting and post-event analysis, AFS empowers executives with the insight needed to conduct business reviews and evaluate a promotion’s performance. In addition, AFS TPM Retail ensures deductions are reconciled in a timely manner, empowering the sales team to see actual spend against promotions.